This sounds good, Christina. Are you by any chance an Ian Rankin fan? From your description, Hole sounds a bit like Rebus, only maybe a little more attractive. If it’s not too graphic, I might like them. Interestingly, and I’m changing the subject a bit here, I read some Henning Mankell books a couple of years ago, but I read them in Dutch and really enjoyed the Kurt Wallander mysteries. Then later, I tried reading one in English, and didn’t like Inspector Wallander half as much. I wonder how much translations can change our perceptions of and attitudes to these characters. I’m a Wallande fan too, as is BH. I also like Idraason (think that’s how you spell him). 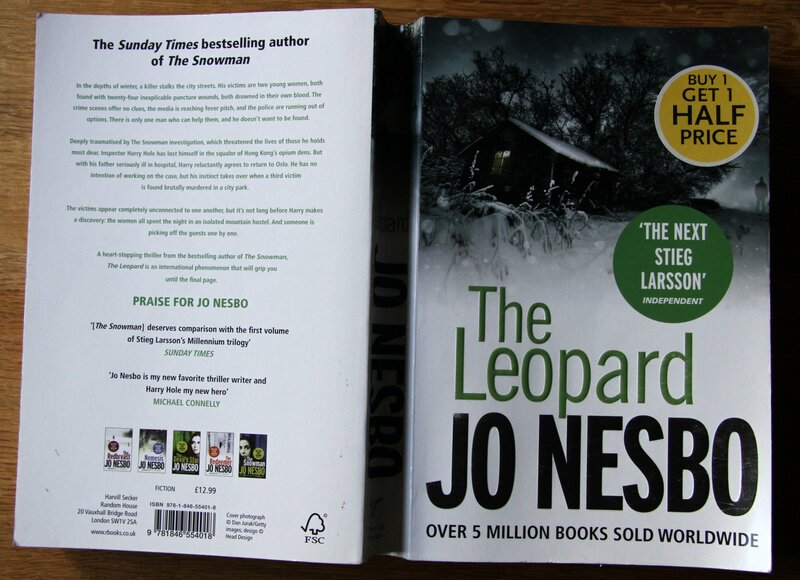 Not tried Nesbo – though I have one in my tbr pile. May move it up a bit now. Well, that makes three of us! In whatever language! Try the Nesbo, Carol; we have a family liking for him. I am also in awe of good book translators, Christina. I do a bit of translating, but only in a minor way – just brochure material for marketing and also for our harbour here – and that’s hard enough. To do a translation that keeps the integrity of the original but that doesn’t read like a translation is really difficult. It takes me ages to decide on the right way to express what is meant in real English. I cannot imagine how difficult that must be with a book. What interests me is that Henning Mankell wrote his books in Swedish, but they have been translated into several languages. I wonder if Wallender is then just slightly different in each of them? I should read some more of them now. Henning Mankell is himself an interesting character. He was quite an anti-apartheid activist in his day and spent a lot of time in southern Africa. I have another of his books, also in Dutch, about a Swedish man who adopts an african boy and takes him to Sweden. It is a sad book and does not portray Swedish society in a very kind light. A very interesting point. I’m now awed by your ability to detect the subtle differences. What is lost in translation? What nuances added? This is scary stuff! You clearly do think that Wallander is different in English and my assumption is that you’re absolutely correct: there will be several versions of him in various languages! I very much like your comment overall, as I expect others will. Thank you very much indeed.